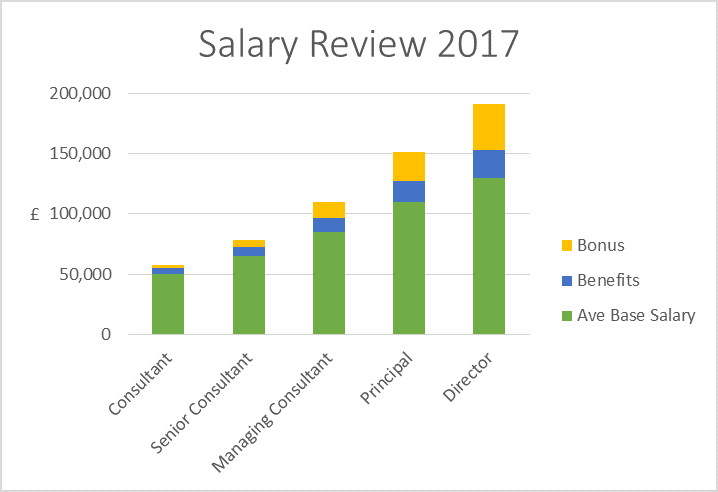 Prism Executive Recruitment has conducted its annual salary review of the UK Management Consultancy market. The review has been compiled through the use of many relevant sources including our clients, candidates, recruiters and other information both private and published. We have deliberately not included Partner and equivalent very senior executive level roles as the great range in value and differences in the make-up of remuneration packages make simple summary figures meaningless. The figures and comments have changed little in recent years. Despite an improving market, there is limited evidence of salary inflation as consulting firms’ own pressures from clients with respect to charge out rates limit the scope for any uplift to either existing or new staff. As a result there is some evidence of employees’ increased willingness to look for a job move to improve salaries, albeit the primary driver for a move for most remains better career progression, new challenges and work/life balance. The result is considerable variation in salaries and a large gap between those enjoying upper quartile packages (typically in “Big 4” and a small cohort of top tier advisory and strategy firms) and the rest. Prism’s experience is that other employers, both large and small, remain very cautious with respect to salary rises for existing employees and as a means of tempting new staff. These salary ranges relate to the base salary of consultants working in or around London (see later comment re regional variation). As mentioned the top end of the above ranges typically relate to employees of the major strategy consultancies or the highest performing consultants in “Big 4” firms. There is considerable variation in the value and composition of the benefits package and variable pay component. The equivalent cash value of benefits is typically 10-20% of base salary with a tendency for more senior levels to be the more generous, including car allowances and greater pension contributions. Holidays are typically 25 days as the minimum but with some outliers below this. Bonuses range from 0-5% at junior levels up to c40% (very occasionally more, sometimes “uncapped”) at the most senior grade. 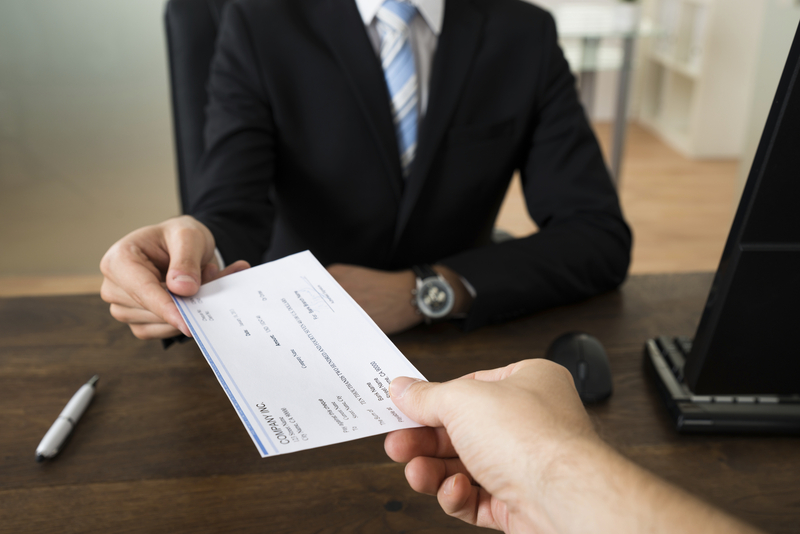 Bonuses are usually dependent on a mix of personal objectives and those of the firm and at more senior levels personal objectives are frequently weighted towards sales. A ‘wildcard’ is travel expenses policy: if an employer is able to denote a given employee as ‘home based’ for the purpose of expenses then this can be worth a considerable amount to the employee depending, of course, upon their location. Excepting this point there are few noticeable regional differences in remuneration. At this level consultants will typically have 3-7 years post graduate experience. With at least 5 years’ experience and perhaps up to 12 years, these are more experienced delivery consultants. They might have some involvement in sales/business development (i.e. contributing to bids/proposals) and have experience of managing small teams, often perhaps as a workstream in a larger project. However they are overwhelmingly a chargeable delivery resource. At this level consultants will have 7-15 years’ experience, almost certainly including several years in consulting and would be able to manage small – medium sized consulting engagements with typically 2-5 consulting staff and a similar number of client staff. Their focus would be as a chargeable resource, with perhaps 60-75 % utilisation. They would have some business development responsibilities and could be involved in sales, particularly “sell on”, but not carry a target. Consultants will have 10+ years’ experience, with several years in consulting and would be able to operate independently at a senior level with clients including managing major engagements or multiple projects and may have sales and business development targets. They might “own” relationships, although not the overall account. Utilisation targets may range from c50%-70%. N.b. Some larger firms are very “top heavy” and there is evidence they are paying these consultants Director level salaries rather than promoting them, as a retention strategy. These are very experienced and successful consultants with at least 13 years’ experience and often 20 years or more. These roles have all the attributes of a Principal Consultant and will also usually have formal sales or revenue targets, perhaps owning account relationships and with practice leadership responsibilities for a sector or service line – either “virtual” or direct staff management. Utilisation is typically 25%-60%. In smaller firms these staff might be the most senior consultants apart from the owner(s) or the MD while in mid sized organisations or the consulting arms of IT/outsourcing businesses they might report to the Board or Head of Consulting. In the Big 4 and major advisory firms the Partner grades would be above this and Partners would own the larger accounts and have higher sales targets. Down load the full Prism Executive Recruitment Salary Review 2017 as a pdf here.